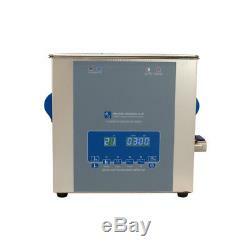 Digital Ultrasonic Cleaner 9L Tank Heated Ultra sonic Bath Cavitek Technology. 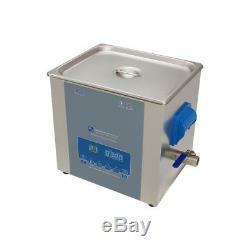 Ask Question Same Day Despatch Get same day despatch on all items ordered before 15:00 GMT Product Features 9 Litre Cavitek Digital Ultrasonic Cleaner Tank 220V Removes Dirt, Grease, Corrosion - can be used for cleaning Electronic and Mechanical parts. For best results use appropriate cleaning fluid or solvent suitable for the item, please see our wide range of fluids The Cavitek series offers increased functionality with features such as degas, delicate and full power modes For best results use appropriate cleaning fluid or solvent suitable for the item Tank Size: 300x240x150mm The Cavitek series offers increased functionality with features such as degas, delicate and full power modes alongside the standard fluid temperature and cleaning cycle timer controls Degas mode - This mode is to be used after a fluid change to rapidly remove air from the fluid so it can provide maximum cleaning effectiveness from the start of the cleaning cycle. Delicate mode - The cleaner runs at half power which provides a less aggressive cleaning action for fragile/delicate items Full-power mode - A powerful deep clean that will clean heavily contaminated items Temperature and Timing mode - Allows the user to set both the fluid temperature and duration of the cleaning cycle. These parameters will change depending on the cleaning agent and item being cleaned, please refer to the manual provided with each of our Tank and Housing Made From Stainless Steel Drain tap has a standard ½ BSP pipe thread Description A guide to ultrasonic cleaner: An ultrasonic cleaner provides a means of cleaning a wide range of objects. The unique qualities of using this technology are: The item being cleaned is not subjected to harsh abrasive or scrubbing actions and dangerous chemicals. The cleaning action reaches to all inaccessible and intricate details of items such as the insides of tubes and threads etc. The machine allows for'switch on and leave' cleaning saving valuable time for the user. Underneath the cleaning reservoir are a number of transducers which generate ultrasound waves at a frequency of 40KHz. These sound waves cause millions of minute bubbles to continuously form in the tank and then collapse. 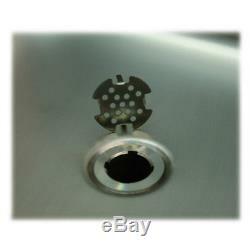 This process is known as cavitation. The force of these bubbles collapsing against an object placed into the tank provides a gentle and thorough cleaning action. Allendale Ultrasonics strive to provide specialist and affordable ultrasonic cleaner equipment, our ultrasonic cleaner tanks and fluids can be used for many applications. Including mechanics, engineering workshops, machinists, factories, hospitals, dental practices, surgeries, general practices (GPs), doctors, veterinarian, vets, laboratories, marine work, tattoo studios, body piercing parlors, labs, universities, PCB boards, soldering, scuba diving schools, gardeners, tree surgeons, jewellers, watch repair, acupuncture, hairdressers, kitchens, restaurants, bars, hotels, cafes, hobbyists, industrial, printers, coin collectors, and more. About us Allendale Ultrasonics are suppliers of Ultrasonic Cleaning Solutions, Ultrasonic Cleaning Tanks in a variety of formats including Digital, Dial and Analogue Established in the UK in 2003 and is the Ultrasonic Cleaning division of The Allendale Group. 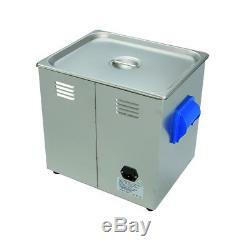 9 Litre Cavitek Digital Controlled Ultrasonic Cleaner, 9L Tank with Heated Bath and extra functions such as degas, delicate and full power cleaning modes -220V. We offer full UK support on all the products we sell. Same day despatch on all items ordered before 15:00 GMT. 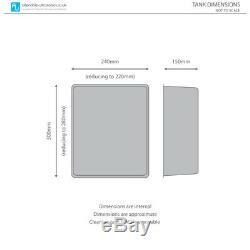 9 Litre Cavitek Digital Ultrasonic Cleaner Tank 220V. 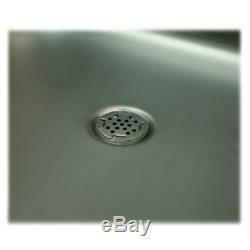 Removes Dirt, Grease, Corrosion - can be used for cleaning Electronic and Mechanical parts. For best results use appropriate cleaning fluid or solvent suitable for the item, please see our wide range of fluids. The Cavitek series offers increased functionality with features such as degas, delicate and full power modes. For best results use appropriate cleaning fluid or solvent suitable for the item. The Cavitek series offers increased functionality with features such as degas, delicate and full power modes alongside the standard fluid temperature and cleaning cycle timer controls. Degas mode - This mode is to be used after a fluid change to rapidly remove air from the fluid so it can provide maximum cleaning effectiveness from the start of the cleaning cycle. Delicate mode - The cleaner runs at half power which provides a less aggressive cleaning action for fragile/delicate items. Full-power mode - A powerful deep clean that will clean heavily contaminated items. 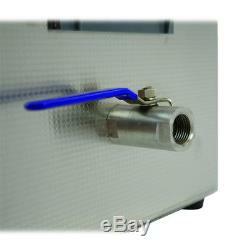 Temperature and Timing mode - Allows the user to set both the fluid temperature and duration of the cleaning cycle. These parameters will change depending on the cleaning agent and item being cleaned, please refer to the manual provided with each of our. Tank and Housing Made From Stainless Steel. Drain tap has a standard ½ BSP pipe thread. A guide to ultrasonic cleaner. 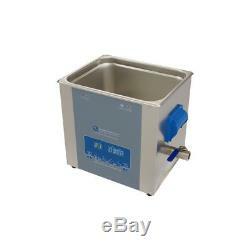 An ultrasonic cleaner provides a means of cleaning a wide range of objects. The unique qualities of using this technology are. 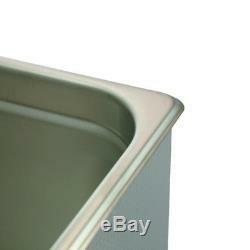 The item being cleaned is not subjected to harsh abrasive or scrubbing actions and dangerous chemicals. Allendale Ultrasonics strive to provide specialist and affordable ultrasonic cleaner equipment, our ultrasonic cleaner tanks and fluids can be uséd for many applications. Ultrasonics User Manual - V1.0. Cases and Enclosures are suppliers of quality flight cases, hurricane cases and plastic enclosures for a wide range of uses and applications. Established in the UK in 2003. We pride ourselves on providing top quality, secure cases with professional customer service and support to both professionals and hobbyists. Pindar Road, Hoddessdon, Hertfordshire, EN11 0BZ. The item "Digital Ultrasonic Cleaner 9L Tank Heated Ultra sonic Bath Cavitek Technology" is in sale since Tuesday, January 10, 2017. This item is in the category "Business, Office & Industrial\Industrial Tools\Other Industrial Tools". 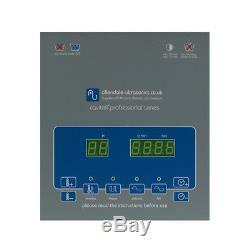 The seller is "allendale_ultrasonics" and is located in Hoddesdon.